Life in a busy city like Delhi can get quite dull, boring and monotonous. The constant pressure and stress of work, the vicious traffic, the long commutes and plan-less weekends often spent in malls or visiting family can make life seem as if you are merely going through the motions. Well, it’s time to wake up and do something different. Spending time in the great outdoors can do wonders to help your mood and improve your outlook. And Delhi has no shortage of great outdoorsy spots to relax in. Read our list of stunning picnic spots in Delhi you can enjoy. Nehru Park brings relief like an oasis in the middle of a dessert. Covering an area of almost 80 acres, it is located in the Panchsheel area. With lush green lawns and beautiful flowers that are in full bloom, especially in the spring season, this is an ideal picnic spot in Delhi for the young and the old. The park has a snack bar, swimming pool and is a great place to just sit around and unwind. Deer Park is an ecologically-sensitive spot in the heart of Delhi and is often referred to as the “lungs of Delhi”. An animal lover’s paradise, this park, with its lush green lawns and water body, is the epitome of bliss and beauty. The sights and sounds of birds chirping and deer grazing are sure to calm your body and soul. India Gate Lawns is a popular picnic spot for the people of Delhi. A stunning place to spend time with your loved ones. When it comes to entertainment, this place has a lot to offer: camel and pony rides, swings, ice-cream vendors and various other stalls of snacks, this is a great natural environment to enjoy time with your family. Have a walk around or just sit and gaze at the magnificent India Gate structure. The National Rose Garden is situated at Chanakya Puri. As the name suggests, this garden is famous for its great variety of roses from around the world. December to January is the best time to visit the garden as the flowerbeds are blooming. A feast for the eyes, this garden has some rare varieties of roses and is a must-visit for nature lovers. Located near the Old Fort, the National Zoological Park was inaugurated in 1959. It is a favorite picnic spot for adults and children. One can see many different animals and birds here; from big cats to tiny birds, the zoo has them all. A very well maintained zoo, this place is a must visit, especially if you plan on taking the kids along. A very popular picnic spot for the people of Delhi, Lodhi Gardens is a treat for the eyes. With beautifully maintained tombs and monuments dating back to the Lodi dynasty, the Lodhi Gardens is a great place to unwind with a book or just walk around. Situated in the heart of the city, this is a stunning setting for a picnic. Situated towards the southern edge of Delhi, the Asola Bhatti Wildlife Sanctuary is an amazing escape for the people of Delhi. Imagine being surrounded by nature and greenery, birds chirping while you breathe in the fresh, clean air. With five lakes, this sanctuary is a perfect place to visit even in the summer months. Badkhal Lake is in Faridabad, about 32 kilometers from Delhi. This beautiful picnic spot is very close to the city and is a favorite with its residents. With a stunning hilly backdrop, this lake is a haven for migratory birds in the winters. When you visit, you will find that it is quite amazing to find something so beautiful and serene so close to a busy city like Delhi. Located just an hour from Delhi, Damdama Lake is a natural reservoir and a nature lover’s paradise. With the magnificent Aravalli Hills in the background, you can spend a beautiful, lazy day and indulge in boating, nature walks or bird watching. There are many resorts along the periphery of the lake; a brilliant setting for a scrumptious lunch with your family. 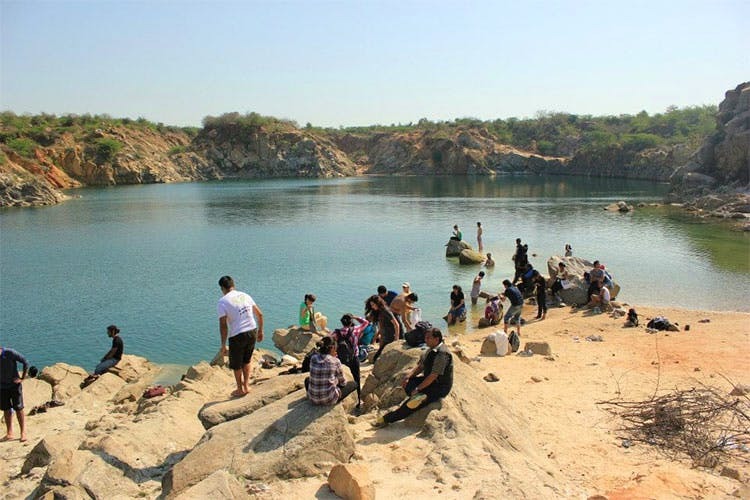 Situated in the foothills of the Aravalli Hills in the Mangar Village, Faridabad, Camp Wild Dhauj is an adventure camp which is a great picnic spot near Delhi. Quite near the Gurgaon and Faridabad border, around 60 kilometers from Delhi, this camp has beautiful eco-lodges where you can spend a great weekend. If rock climbing, campfires and wildlife enthuse you, then this is the place you should be heading to on the weekend. Sultanpur Bird Sanctuary is a great retreat from the chaos of city life. 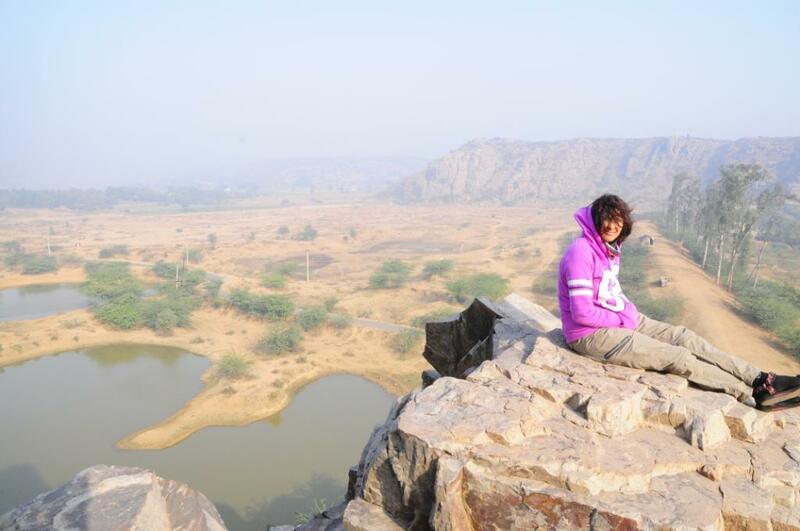 Situated around 40 kilometers away, the sanctuary is a perfect picnic spot near Delhi for nature lovers. The winter months are the best time to visit and watch the hundreds of migratory birds that come there. So, take the trip and enjoy a walk in the sanctuary, watching the birds and basking in the crisp winter sun. An ideal way to spend your holiday is to unwind in this stunning 30-acre park with which has a lush green landscape. Botanix Nature Park is a lovely blend of an adventure camp and a farm. Relax with long nature walks, indulge in adventure sports or just relax in the pool. This place is just what the doctor ordered. The Keoladeo National Park, formerly known as the Bharatpur Bird Sanctuary, is home to around 230 species of birds. This National Park is a World Heritage Site, located in Bharatpur, about 180 kilometers away from Delhi. Take long walks, watching birds and enjoying the serenity of the wild. A very peaceful picnic spot, Keoladeo is best experienced in the winter months. Siliserh Lake Palace is a great weekend getaway situated in Alwar. Getting here takes around three hours by road. This lake palace was built by Maharaja Vinay Singh in 1845. 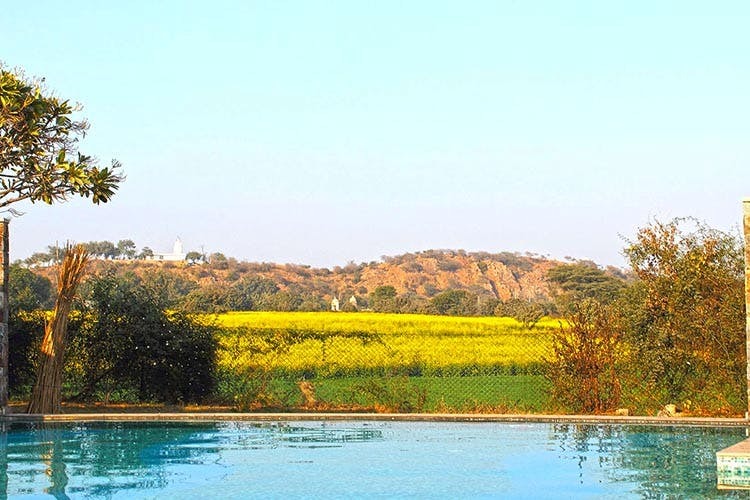 It is situated very close to the Sariska Wildlife Sanctuary and has stunning views of the Aravalli Hills. Go boating in the beautiful lake or just laze around and enjoy the calm and beauty the place has to offer. Burrowed among the Aravalis Hills, covering an area of around 800 square kilometres, this is a beautiful wildlife sanctuary that boasts of stunning grasslands, forests and magnificent rocky landscapes. A great place to see tigers in their natural habitat, the Sariska Wild Life Sanctuary is an ideal picnic spot near Delhi. 45 kilometres from Delhi, this beautiful and serene village of Manesar makes for a fun trip out of Delhi. Visit the charming Heritage Transport Museum, watch the stunning migratory birds at Sultanpur Bird Sanctuary or immerse yourself in the rich Rajasthani culture at the Manesar Heritage Village Resort. With fields and orchards all around, this beautiful Mango Orchard Resort in Garhmukteshwar, 110 kilometers away from Delhi, is an ideal picnic spot near Delhi. If you are looking to spend an amazing day away from the hustle and bustle of city life, head to this gorgeous garden retreat. Enjoy adventure sports such as rappelling, indulge in archery or go dolphin sighting in the Ganges. Whatever you do, you are bound to make amazing memories here. If you need a break from the daily grind, these places in and around Delhi are can rest your body and revive your spirit. We highly recommend you plan a visit to any of them soon. Which picnic spots in Delhi would you recommend to those eager to relax? Let us know in the comments below.